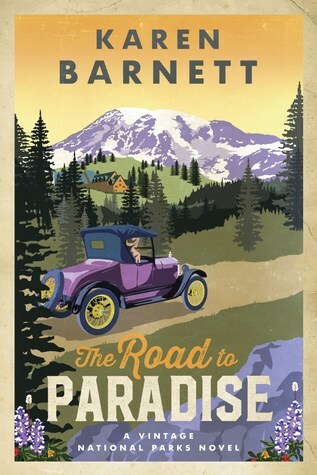 The Road to Paradise (2017) by Karen Barnett is the first book in the Shadows of the Wilderness series. This novel was released on June 6, 2017 by Waterbrook Press. The novel comes in all forms including eBook, and is 337 pages in length. With a full-time job and a five-year old at home, I was able to read this novel in five days. I give this novel 4 STARS. This novel is a Christian Historical fiction set in Mt. Rainier National Park, Washington in 1927. In 1927, Margie Lane, an avid naturalist, convinces her Senator father to procure her a position at the fledgling Mt. Rainier National Park. Since Ranger Ford Brayden lost his father in a climbing accident, he doubts his ability to protect the park and its many visitors. He certainly doesn’t relish the job of watching over an idealistic and privileged young woman with no practical survival skills. I found it very interesting to set a novel in a U.S. National Park during the age of Flappers and Prohibition. I really found fascinating the theme of halting “progress” in order to keep nature natural. I do think that in some ways we have gone too far in modernizing everything at the cost of God’s perfect nature. The two main characters, Margie and Ford, work diligently throughout the course of this novel to keep the avant-garde villain from achieving his goals, namely to destroy the natural beauty of Mt. Rainier National Park in order to bring progressive modernization to the mountain. Having been to Seattle and seeing Mt. Rainier from the Seattle Needle, I can honesty say that changing one thing about that monstrous beauty would have been a shame. The characters in this novel are well written. Margie Lane is young, naive (incredibly so), and optimistic. At the onset of the novel, she is escaping her former fiance and his brutal ways, and ends up at Mt. Rainier National Park asking for a job as a naturalist. Chief Ranger Ford Brayden is not excited to have such a soft, naive girl under his care. He personally knows the dangers and seriousness of the wild — his father died in 1925 in an avalanche as he was hiking on Mt. Rainier — and is positive that Margie will fail. He just hopes her failing doesn’t cause anyone to come to harm…or worse. So, at the beginning of this novel, sparks do fly between the two, but in a more irritated, unromantic way. Although, Margie does concede that Ford looks like an Adonis! LOL! Over the course of the novel, Margie finds herself in a few troubling places and kind of realizes that maybe she needs to come to her senses about some things she thought she was so sure of. Book-learning knowledge and lofty ideals are not the same thing as real-life experiences. One thing I found hard to grasp in this novel was Margie hiking up Mt. Rainier with almost ZERO training. She had no concept of survival. She believed that God would see her through. I agree that God will always see us through, but I don’t think He wants us to enter into things blindly and proudly. This is one of the character quirks that sort of drove me crazy about Margie. Her faith is rock solid. I loved that about her, but she often goes into things without thinking things through. I didn’t like that about her character…and, if I am honest, I think this character flaw really struck me because I see a lot of myself in Margie’s character. Ford is a great character. He is manly, rugged, street smart, and protective. He is exactly the kind of person Margie needs in her life to help her grow up a little. What I like so much in this novel is that Margie and Ford genuinely become friends before they become more than friends. I also love that Margie will not, under any circumstances, compromise her morals and standards. Margie will not marry a man who is unequally yoked. Very smart girl! She recognizes feelings and chemistry between her and Ford, but she will not allow those feelings to get in the way of her faith, and she communicates this to Ford. Ford, at the beginning of the novel, is an unbeliever. Watching him go through his emotional turmoil and overcome his issues, and then eventually seeing him come to Jesus, is a really excellent part of this story. I feel his journey to Christ is written in a realistic, understanding, and non-judgmental manner. And, when Margie and Ford do become more than friends, it does feel right because they are both in a good place to begin a relationship. The villain in this novel, Philip, is well written as well. He is very, very snake-like, and his comeuppance at the end is very satisfying. There were moments in the novel where I wasn’t sure if the outcome would be as favorable as I hoped it would because Philip is such a conniving guy. Philip is underhanded and wants what he wants. He goes to any length to get his way. He is a very sad character, and I actually found myself feeling very sorry for him in the end. Overall, I did enjoy this novel, and I do recommend the book. 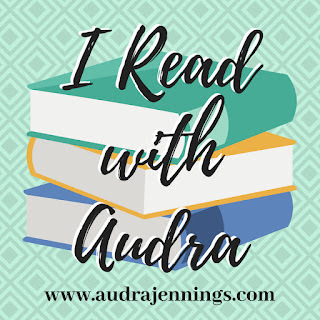 I give the novel a 4/5 because I did find that there were some slightly slow moments where I could put the book down. BUT, those slightly slow moments in no way detracts from the story overall. It is engaging and sweet. The characters are well written. And, I will more than likely get book number 2 when it is published. On a side note, this novel is not typically something I would have picked up and read on my own. I am part of the WaterBrook and Multnomah Summer Fiction Book Club and this is the novel that will be discussed in July with that group. If you can, I would recommend joining. It has been fun to connect with other ardent readers, the authors of the books we are reading, and others from WaterBrook and Multnomah. You can still join if interested, just go to wmbooks.com/SummerBookClub to get the info and connect. And, if you need a copy of this novel so you can read it and join in July’s discussions, check out my Book Giveaways page.